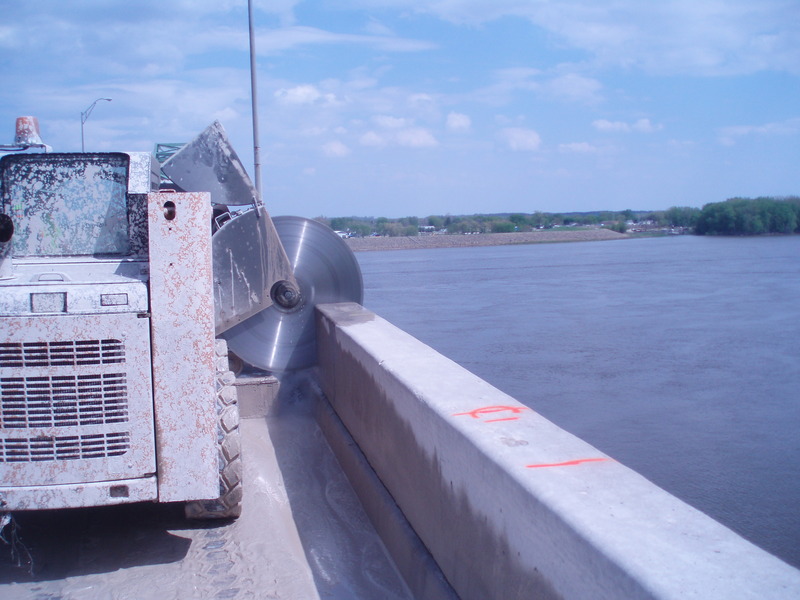 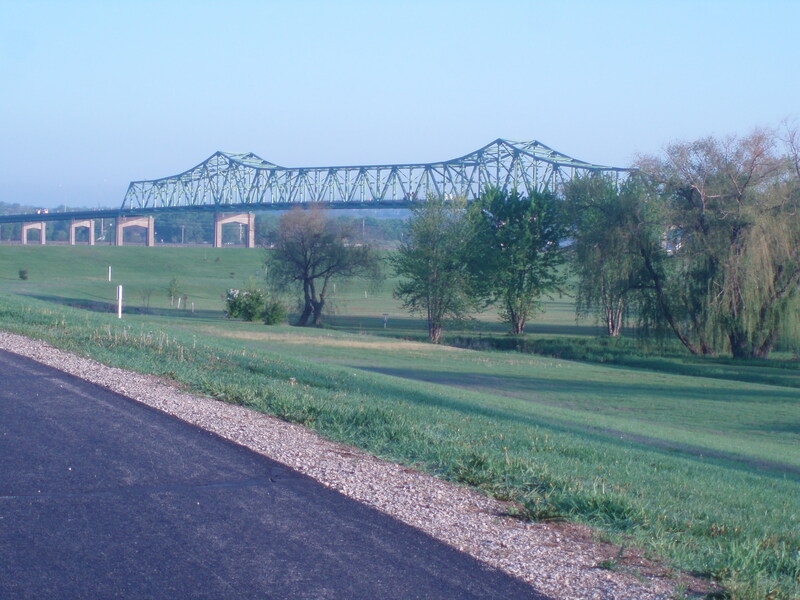 This project consisted of the removal and replacement of the barrier wall on the bridge going between Clinton, Iowa and Fulton, Illinois. 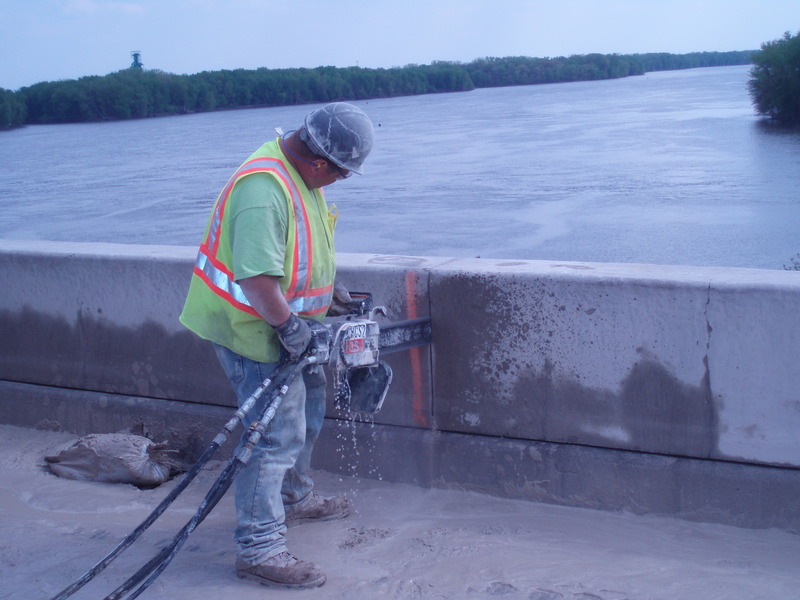 Cramer and Associates approached Henriksen Contracting to see if we could use our curb saw to horizontally saw the top section of the wall to be removed and replaced. 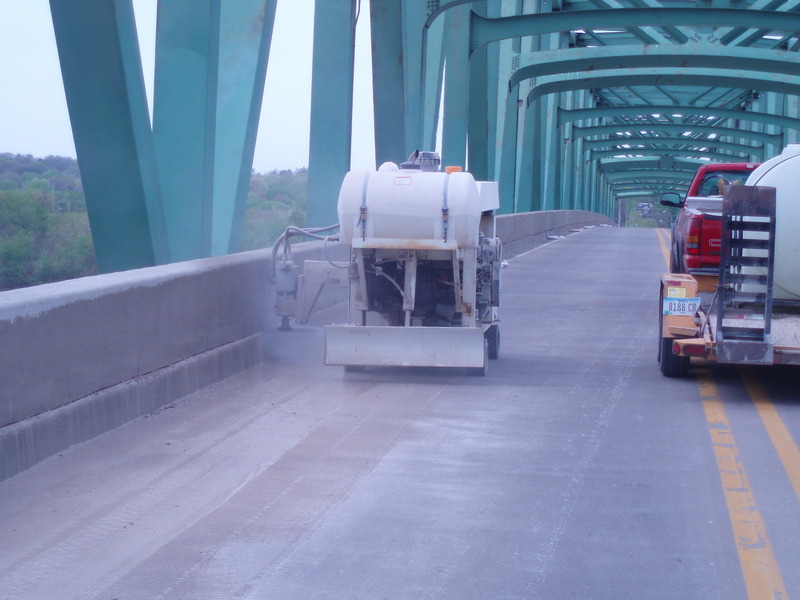 It was being replaced because pieces of the wall had fallen away from the bridge into the river. 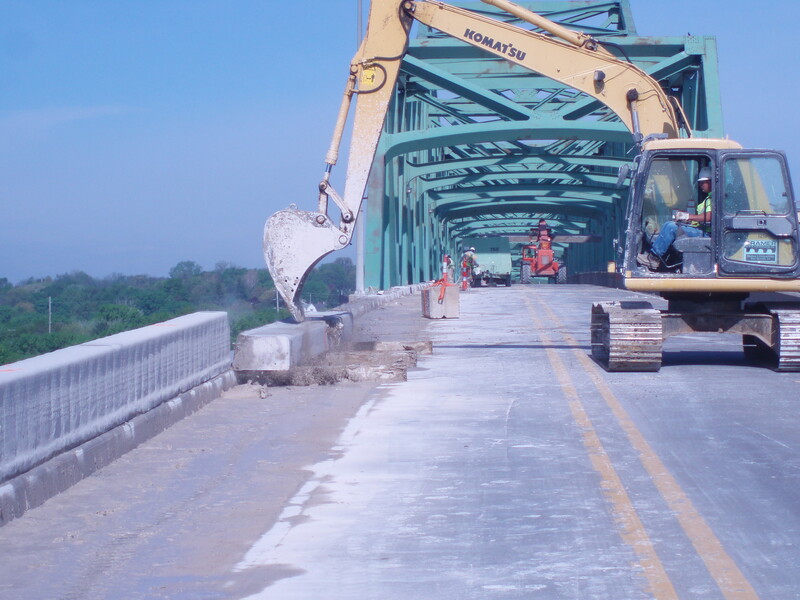 The project had a very tight work schedule of two weeks where the bridge was going to be closed and the wall had to be removed and replace so the bridge could re-open to traffic. 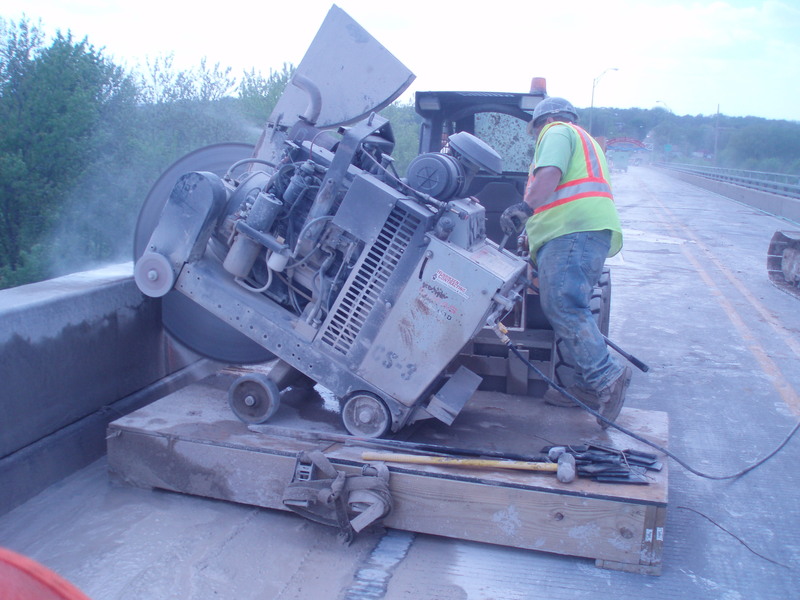 Henriksen Contracting teamed up with Curb Cutting of New England to perform the 3,029 linear feet of 17 inch horizontal cutting using our Stone Pony cutting machinery. 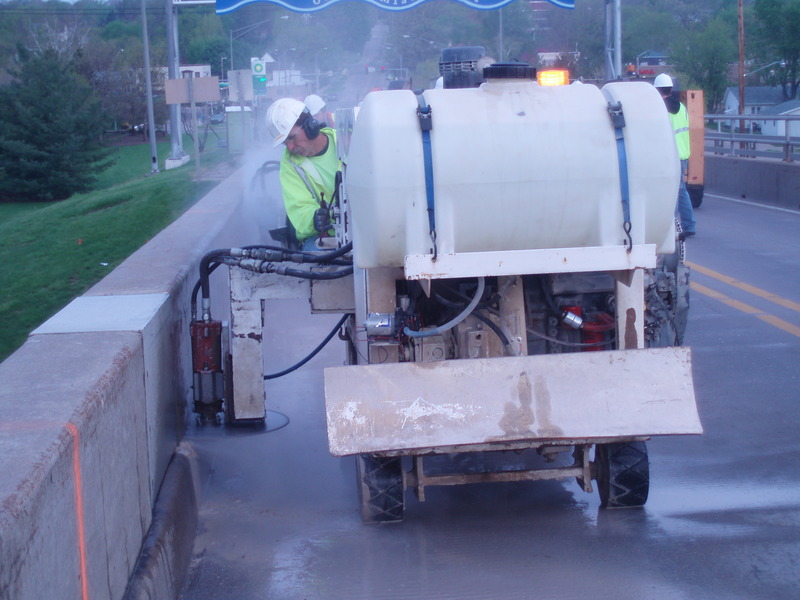 This work was completed in just 4 days and help to speed up the completion of the project.